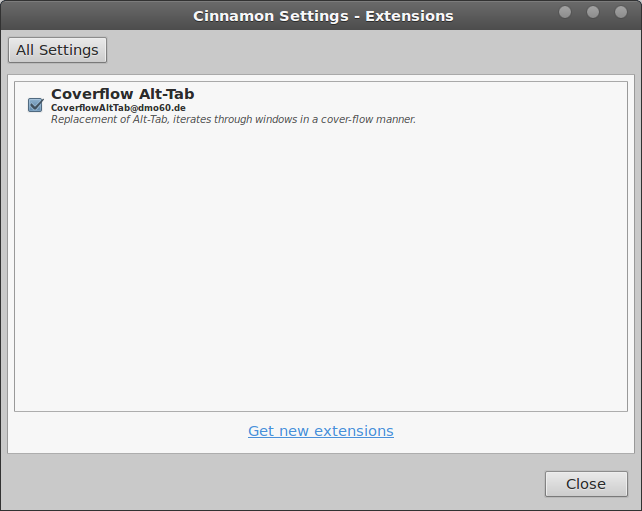 So you want to know about Extensions in Linux Mint. Customising Linux Mint to the way you want it to be is quite fun indeed. If you are using the Cinnamon version of Linux Mint then you will have already checked out the new features already. If you haven't here is a great opportunity to learn about what Extensions are and what they really do. There are no extensions that come with Linux Mint so you will have to download and install them yourself. Firstly head over to the Cinnamon website and to the 'Extensions' page. At this moment of writing, there are only eight Extensions available for download. The most useful Extension in my opinion would be the 'Coverflow Alt-Tab' that mimics Windows' Alt-Tab. There you have it. Extensions! They simple extend the ability of Cinnamon and to your system. What else needs customising on Linux Mint? Perhaps next time it will be the new display manager that Linux Mint 13 now has; MDM.